Only the Lonely, Pretty Woman, Crying, and Mean Woman Blues are featured here on this site, but what would a tribute to Roy Orbison be without songs like Candy Man, In Dreams, Leah, Move on Down the Line, Running Scared, Blue Bayou, Blue Angel, California Blue, Claudette,Dream Baby, Dream You, Drove All Night, Go Go Go, Hound Dog Man, In Dreams, It's Over, Ooby-Dooby, Running Scared, You're Not Alone, and You Got it. This singular event blossomed into Wiley Ray and the Big O Band, a regionally-touring musical group paying tribute to one of the greatest singer-songwriters of all time. Wiley was already something of an expert on All Things Roy (go ahead, ask him something) and a fan from the earliest days so it was no stretch to go "Roy" all the way. Dwight Harrington - Guitar, Lead Guitar, Vocals - Dwight is a unique guitarist who has played with many local bands and been a staple in the San Luis Opispo area for many years. Ron Labrie - Keyboards, Vocals - Ron's honky-tonk style piano and creative ear is a driving force behind Wiley Ray. Dwight and Ron have been partners and players together in several projects through the years. Tommy Souza - Percussions - Tommy's stylish and solid drum insights create a bottom end rythym section more than worthy of this Big O Band project. Tommy has played professionally since he was young and enjoys nothing more than what he is doing now. James Stone - Bass Guitar - James brings a rocker background and a unique bass strain to the Big O Band. He started out on cello, then played bass guitar in several bands early in his career. James' many projects include Intrinsic, MadStone, and Onyx. All of the players in the Wiley Ray Big O Band project have been playing for most of their lives and the years of experience tops 100. 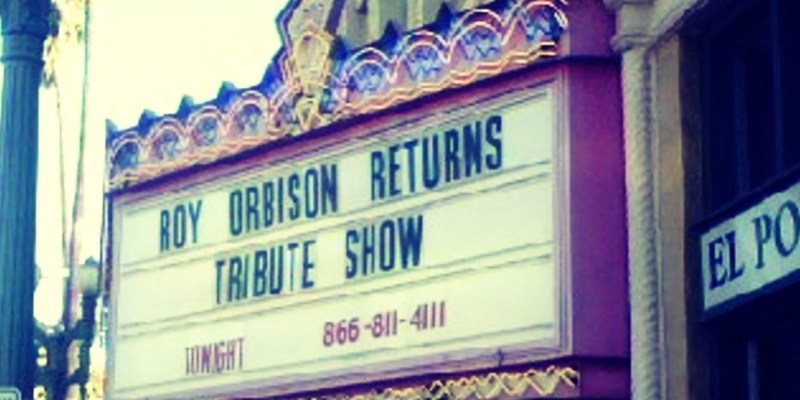 It's clean, it's tight, and really does bring a respect and well rounded fresh look at the music of Roy Orbison, We hope to see you soon.